Great news – our colleagues at Volunteer Forever have launched an easy and secure way for you to raise funds on-line for your next volunteer experience! Many volunteers have raised funds, and continue to do so, when they return home after their placements – which is hugely appreciated, of course. But future volunteers can now invite friends, family and colleagues to help support their work by donating to the costs of the trip! How good is that? I need to raise funds to ensure my time in Gambia is a success. I have carried out local fundraising events and saved through work but do not have quite enough. I will be working hard as a chef in a community run restaurant where they are beginning to use their own produce to make dishes to sell to tourists, avoiding having to buy in from outside. I would be incredibly grateful for any help you can give and would do the same if you are inspired to do the same. 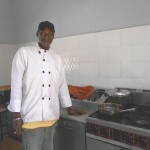 I will send recipes of wonderful Gambian dishes and sauces to anyone who would like to try Gambian cuisine! 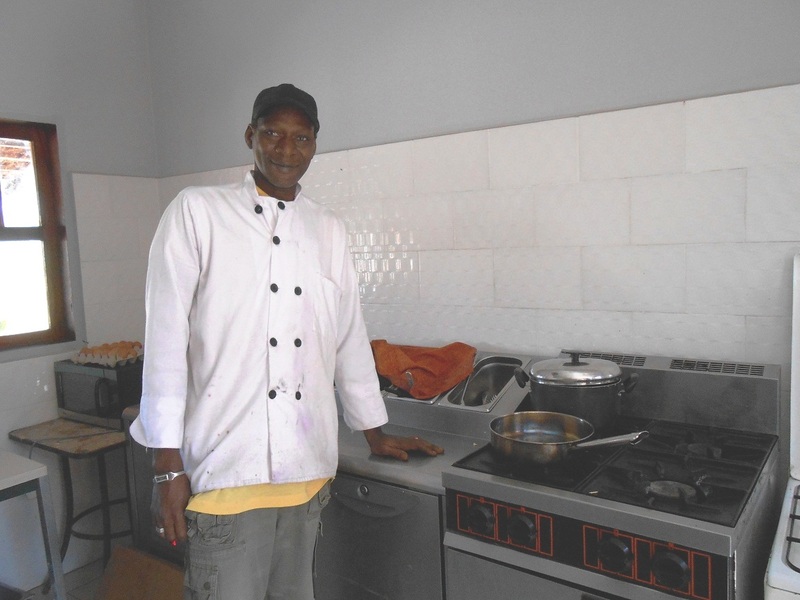 Sheik Faal, ready to welcome Barbara to his kitchen! .. and at the time of writing this newsletter, Barbara has successfully raised hundreds of pounds towards her trip. So – when you have a placement agreed, why not have a go at fundraising yourself? volunteers – your project needs YOU !